Love your music? Take it with you. 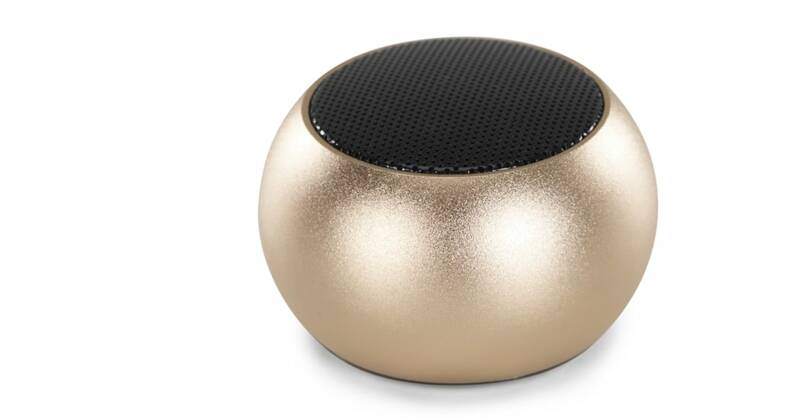 Our mini portable bluetooth speaker is just 4.5cm in diameter. It fits in your pocket or bag, so you’ll never be without your backing track. Less is more: the philosophy that underpinned design legend Dieter Rams’ work. We listened - keeping a minimalist rounded shape. With on-trend copper and gold finishes. Ray connects to any bluetooth enabled device, including iOS, Android and Windows. Use the mini USB port to charge for up to 4 hours portable playback when you’re out and about. Frequency 20HZ-20KHZ, 3.7V/ 400 mAh, Rechargeable via USB, Bluetooth pairing for music, phone calls and camera remote shutter, Up to 4 hours playback time, 3W.